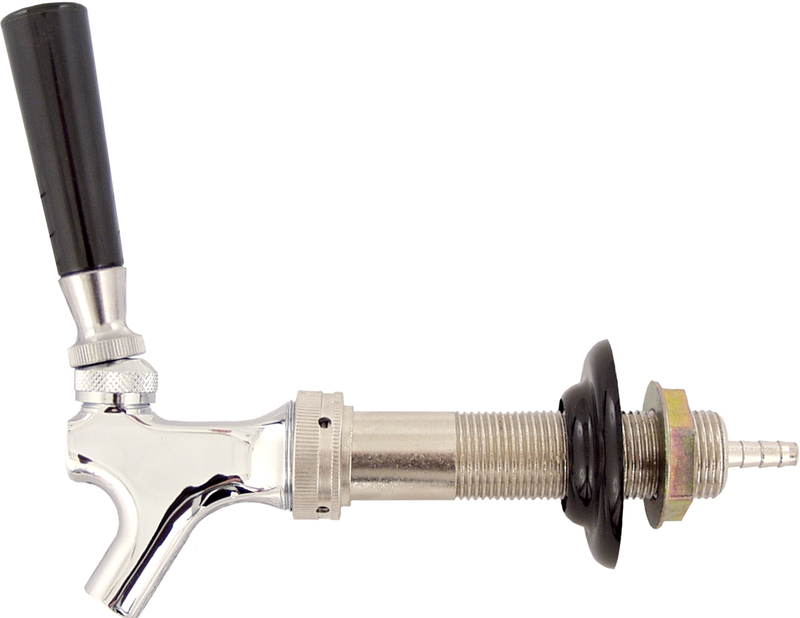 Install a beer faucet in your jockey box, kegerator, or refrigerator. Installation note: If you're installing in a fridge, please double check to be sure there are no coolant lines connecting the door and the rest of the refrigerator. To test for coolant lines on a freezer, begin with a warm freezer then plug the unit in with the lid open. You should be able to see the lines form condensation on the inside of the freezer where there are lines running. Please still use caution when drilling.